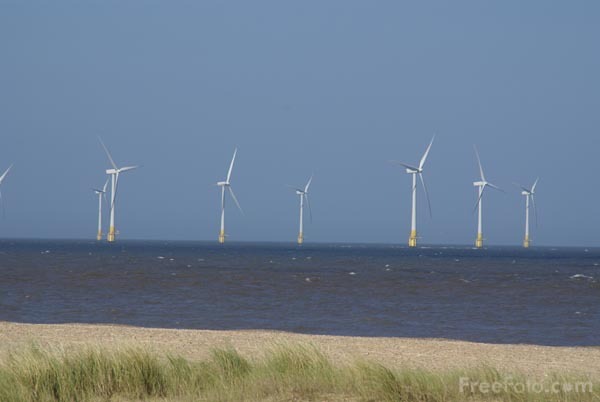 Picture of the Scrobie Sands Wind Farm, Great Yarmouth, Norfolk. The wind farm located in the North Sea, 2.5 km off the coast of Great Yarmouth and erected in 2003-4. The farm has 30 2 megawattswind turbines. VIEW: More images from the category Scrobie Sands Wind Farm or taken at the same location or around the same time .